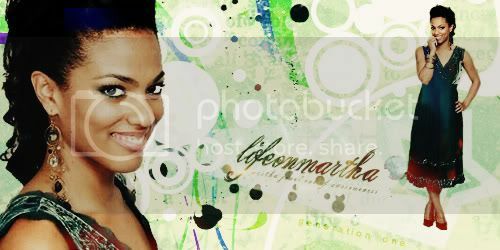 This community was created to celebrate Martha Jones and inform fans of all things Martha Jones related, in both Doctor Who and Torchwood. But we're not picky. We'll take anything, really. Stuff about shipping, or lovely non-sexual friendship, or about how lovely Freema's eyebrows are. 2. Do not hate on Rose Tyler. Many of us are very sad to see her go, and hating on Rose in the name of Martha will be punished with... something bad. Yep, same goes for Donna, Jack, Mickey, Sarah... all of them. Be nice and make love! There's also a blanket ban on actor-bashing. 4. Posts with comments disabled are not allowed. We know that people often like to keep reactions to stories, vids, etc together in one place, but when offering something for a community to enjoy, it's important to allow people to respond if they choose within the boundaries of that community. 6. Anything with SPOILERS must be posted behind an lj-cut with a clear warning. As information gets added to the public domain, some basic details about Martha are likely to become common knowledge. We're going to be fairly relaxed about stuff like her age and her hairdos, but anything that looks like an episode spoiler should be cut. The general rule will be that anything revealed by the BBC Publicity Machine is not gonna be considered massively spoilery. But use your discretion and spoiler-cut where you can, yeah? We don't want anyone browsing their flist only to get hit by the shocking revelation that Martha is the Doctor's mother or something like that. 7. We like all Martha related icons, fic and all sorts of stuff along those lines. 8. All fics, vids, artwork, ect must be centered around the character of Martha Jones. We accept all sorts of fic, gen and ship alike, and we encourage all types of Martha ships. However, while there's certainly no prohibition on stories which feature other characters' ships, stories in which Martha's role is only, or largely, to advance, advise on or catalyse those other relationships are probably not appropriate for this community. 9. The community accepts Real Person Fic, as long as it's clearly labelled as such and hid behind a cut-tag. Semi-relatedly, we are amused by and okay with weird tabloid gossip. Bear in mind when posting that RPF squicks a lot of people out, so be considerate of your fellow fen who may not want to have it, err, "thrust upon them." 10. Use common sense and discretion when posting. If there is any doubt whether or not a post should be locked, error on the side of locking. Unlocked posts of a dubious nature will be deleted. DO NOT link to locked posts on other journals or communities. 11. LJ-Cuts for large items - Please cut ALL video embeds of any kind (no matter the size) and any graphics wider than 350px, higher than 250 px. If you notice a post not using a cut please inform the mods. 12. Please keep your posts on topic, simply posting a link to another journal may be considered 'spam' by some members and is discouraged. If you have a discussion point in another journal please post up your discussion option again here (you can link to your original post as well with a 'have x-posted this question here'). 13. Tagging, please tag your posts, if you find one missing that you think should be there please use the Page-a-Mod service below. 14. Friends lock any items that uses copyrighted material. If you still have any questions or concerns, feel free to use our Page-a-Mod Service. This includes any threads or discussions that you feel are getting out of hand, please let us know. For information on affiliating, leave a comment here. dw_icon_awards - And one more icon contest! Contact the moderators through the Page-a-Mod service here.